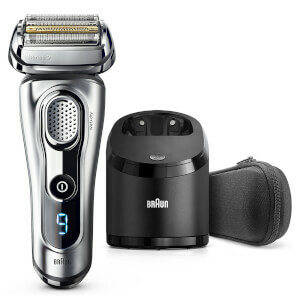 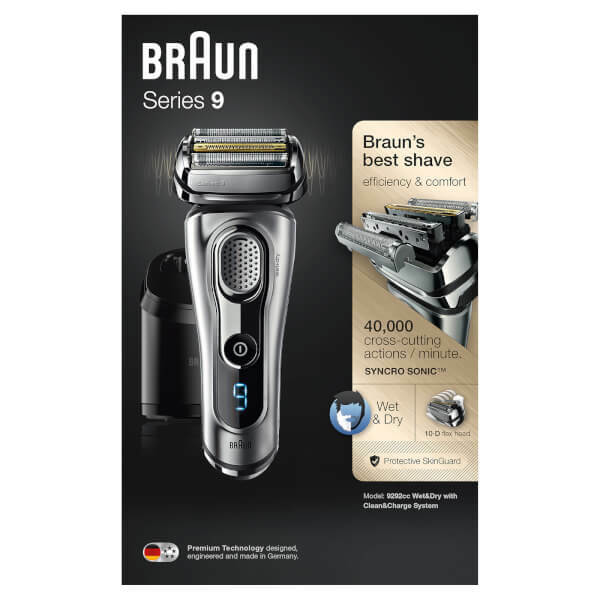 The Braun Series 9 Electric Shaver is the brand’s most advanced wet and dry electric shaver with 5 synchronised shaving elements including two Opti-Foil™ blades for a close shave along with a HyperLift&Cut trimmer to target flat-lying hairs.The Intelligent AutoSense Technology reads beard density, adjusting the shaver’s power 13 times per second for a perfect trim. The beard trimmer features a 10-D Flexible Shaving System allows you to achieve an even result as the head pivots in 10 directions with both MicroMotion and MacroMotion. 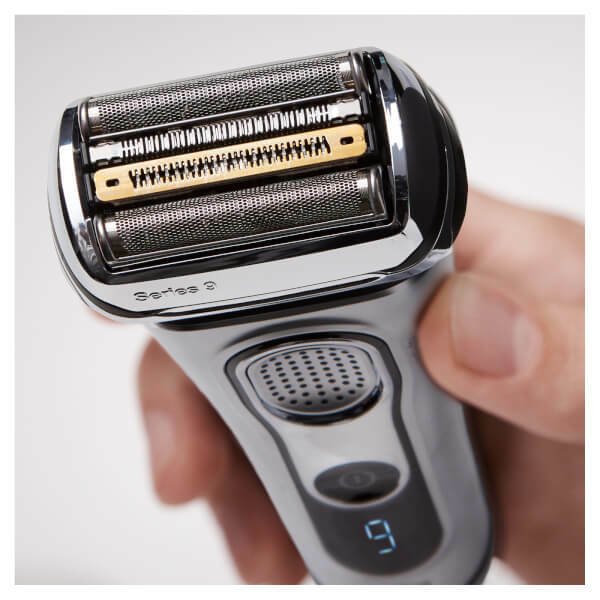 The shaver is coated in corrosion-resistant titanium for a finish that is both durable and luxurious. 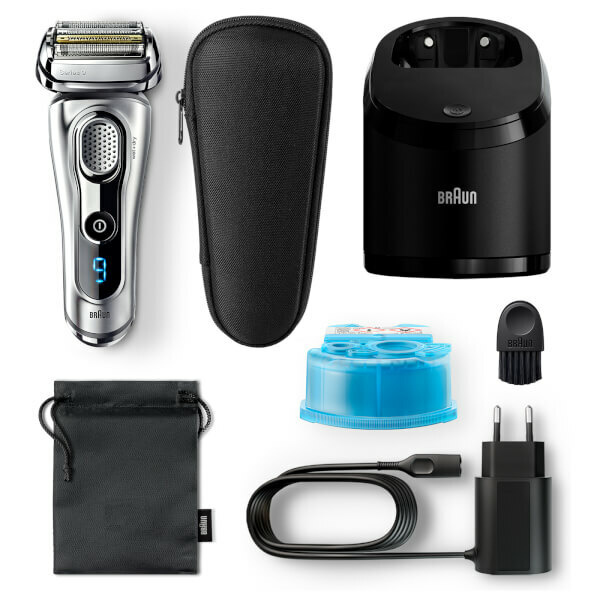 5 Action clean and charge station with alcohol sanitiser removes 99.9% of germs, dries and charges the Series 9.